The Handmade Hangout #61 + FEATURES! | Occasionally Crafty: The Handmade Hangout #61 + FEATURES! 1. 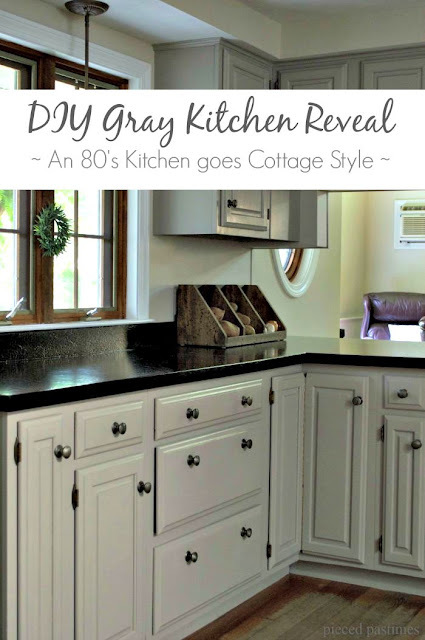 DIY Gray Kitchen from Pieced Pastimes. I am dying for gray cabinets! 2. No-churn Peaches and Cream Ice Cream from A Cultivated Nest- so perfect for hot summer days! 3. Embroidery Hoop Wreath from Juggling Act Mama- this is so sweet and easy!